The illegal use of images has been a prevalent issue along with the rise of distributing fake news, which all create social and economic problems. 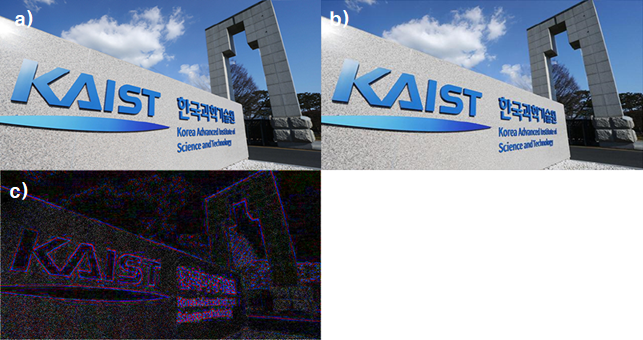 Here, a KAIST team succeeded in embedding and detecting digital watermarks based on deep neural learning artificial intelligence, which adaptively responds to a variety of attack types, such as removing watermarks and hacking. Their research shows that this technology reached a level of reliability for technology commercialization. Conventional watermarking technologies show limitations in terms of practicality, technology scalability, and usefulness because they require a predetermined set of conditions, such as the attack type and intensity. They are designed and implemented in a way to satisfy specific conditions. In addition to those limitations, the technology itself is vulnerable to security issues because upgraded hacking technologies are constantly emerging, such as watermark removal, copying, and substitution. 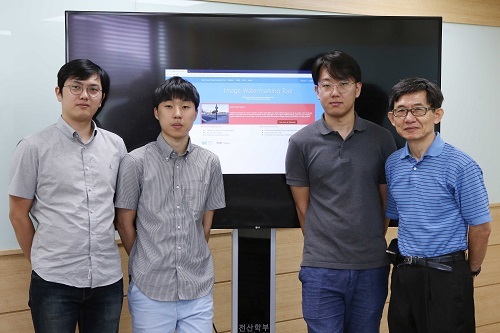 Professor Heung-Kyu Lee from the School of Computing and his team provided a web service that responds to new attacks through deep neural learning artificial intelligence. 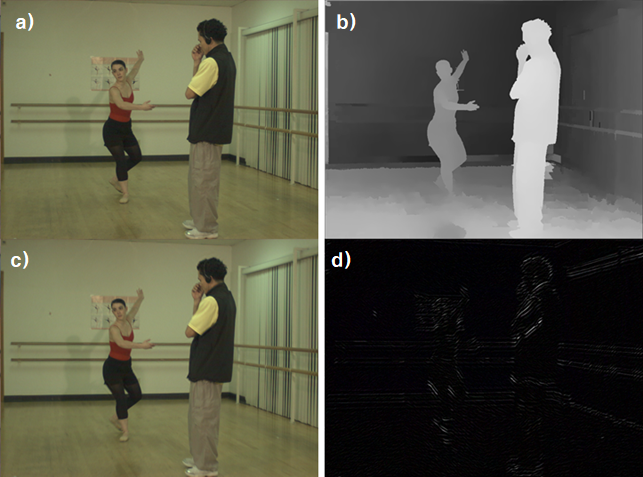 It also serves as a two-dimensional image watermarking technique based on neural networks with high security derived from the nonlinear characteristics of artificial neural networks. To protect images from varying viewpoints, the service offers a depth-image-based rendering (DIBR) three-dimensional image watermarking technique. Lastly, they provided a stereoscopic three-dimensional (S3D) image watermarking technique that minimizes visual fatigue due to the embedded watermarks. Their two-dimensional image watermarking technology is the first of its kind to be based upon artificial neural works. It acquires robustness through educating the artificial neural networking on various attack scenarios. At the same time, the team has greatly improved on existing security vulnerabilities by acquiring high security against watermark hacking through the deep structure of artificial neural networks. They have also developed a watermarking technique embedded whenever needed to provide proof during possible disagreements. Users can upload their images to the web service and insert the watermarks. When necessary, they can detect the watermarks for proof in any dispute. Moreover, this technology provides services, including simulation tools, watermark adjustment, and image quality comparisons before and after the watermark is embedded. 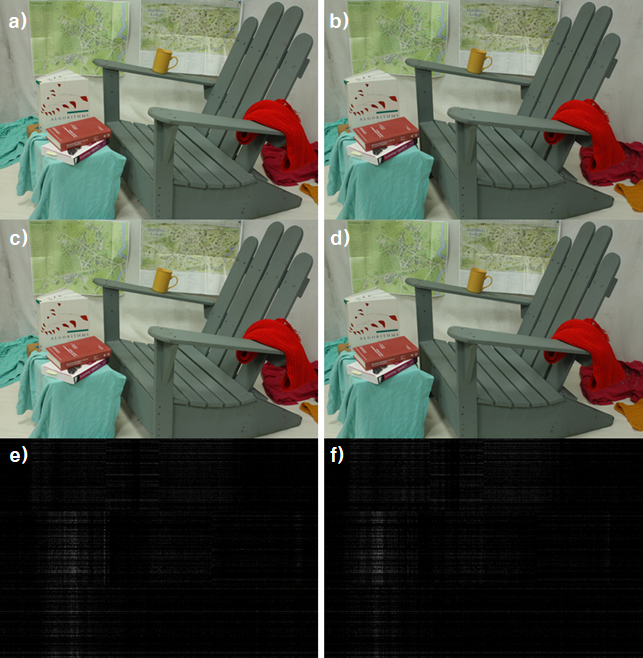 This study maximized the usefulness of watermarking technology by facilitating additional editing and demonstrating robustness against hacking. Hence, this technology can be applied in a variety of contents for certification, authentication, distinction tracking, and copyrights. It can contribute to spurring the content industry and promoting a digital society by reducing the socio-economic losses caused by the use of various illegal image materials in the future. This technology has only been conducted in labs thus far, but it is now open to the public after years of study. His team has been conducting a test run on the webpage (click).Moving forward from testing the technology under specific lab conditions, it will be applied to a real environment setting where constant changes pervade.